I’ve been on a holster hunt for all of my pistols for a couple years. There are some I’ve found and love and others that end up in the holster graveyard. I recently pulled the trigger (pun intended) on a G-Code holster called the INCOG which is an inside the waistband kydex custom holster. What makes it custom? Well, you order it to your specifications. I ordered mine with the full slide guard on the back and four holes as opposed to the standard three for the ride height options on the back. In the video you will notice the craftsmanship and build quality. The fine men and women over at G-Code put out some amazing products and this one so far has not failed to live up to their reputation. The cost for the holster was $69.95 and shipping roughly $10.00 but I was able to save on shipping by using the discount code “SOOTCH00”. As far as I know that code is still valid and using it made my total order including tax and shipping just under $72.00 shipped. I plan to wear this holster with different outfits over the next couple weeks and will come back with a full review with another video including different outfits. 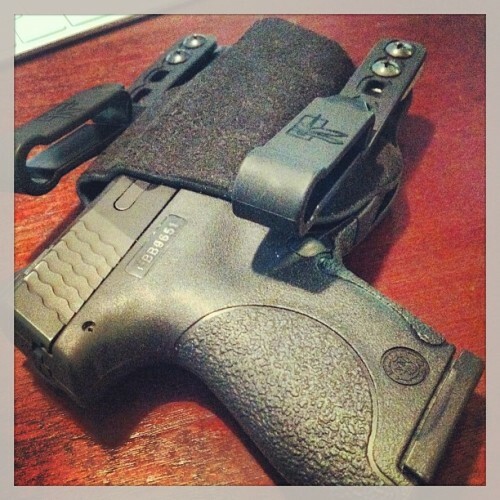 The felt on the outside of the kydex makes it very comfortable to wear and have against your skin. It’s very light and as you can see in the video it has a slim profile which is what initially attracted to it much like my Phlster holster for the Glock 19.